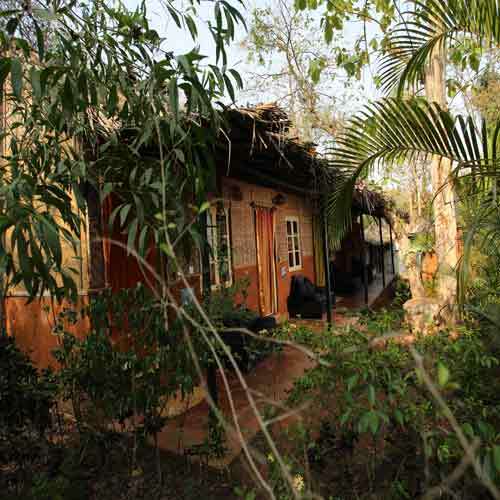 Eco-Friendly Budget cottage is divided up into separate row rooms. 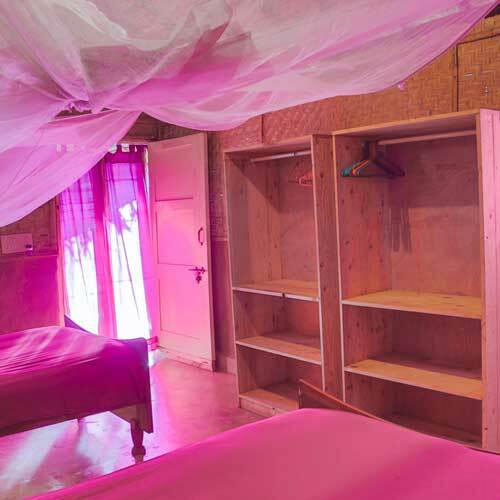 Each with individual outdoor entrances and adjoined private bathrooms, it’s the perfect accommodation for 1-2 budget travellers. 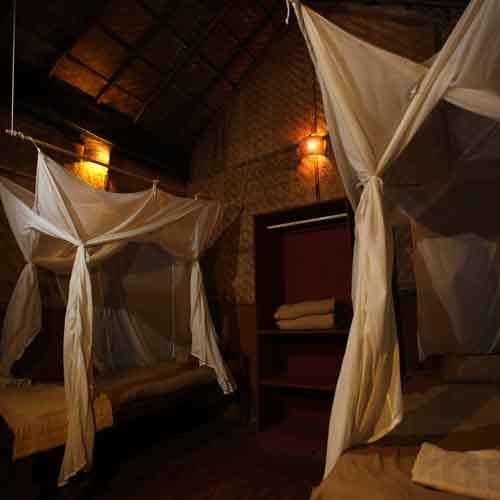 Every room is named after the four brothers of Ramayana – an Indian mythological scripture – and features two twin beds with mosquito netting, a ceiling fan and a large curtained window to filter in natural light. You can also enjoy the rush of cool air with the company of your neighboring guests at the communal covered patio, equipped with outdoor seating by every room entrance. 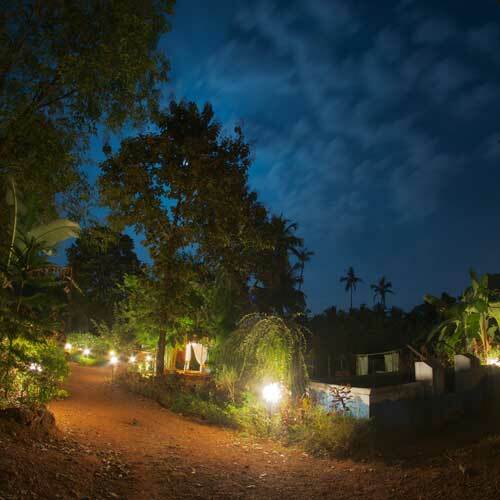 This room is great for the budget traveller, has a very economical price, and is one of the most affordable retreats in Goa, India. 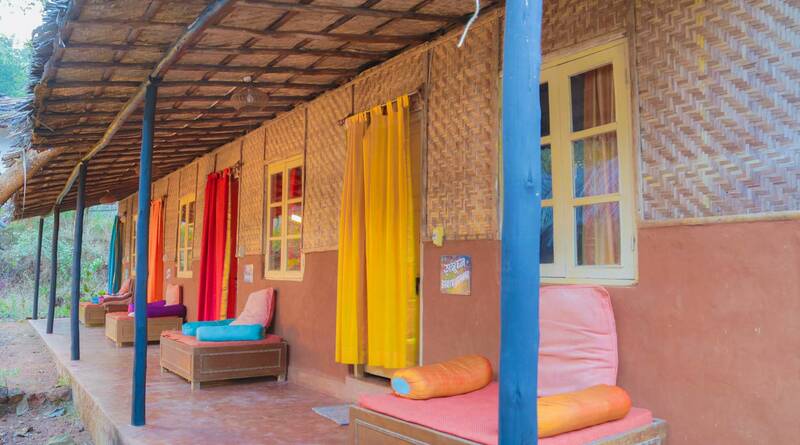 "SWAN is one of its own kind and is for all"
One of the most affordable budget price for accommodation in Goa, in a Yoga Retreat. 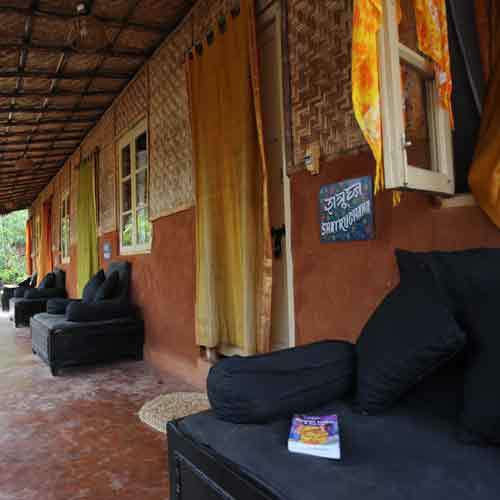 Each Yoga cottage has it's own private bathroom and also personal lounging area outside. A perfect choice for people on low budget, and for solo travelers as it gives opportunity to socialise. Swan is like a little peace of heaven on Earth. We lived in a small house. The beds were comfy and the room was clean and felt homey. Some unexpected pets like the frog in the toilet and a spider made it all the more charming! :D The fig icecream and chai tea at the bar by the fake beach is not to be missed! Thank you for an unforgettable and Lovely retreat swan!